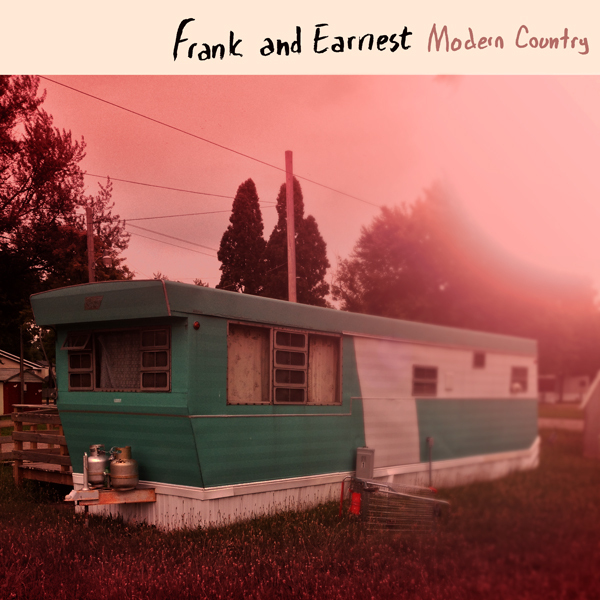 Frank and Earnest – Modern Country (GTG071) Coming Soon! On Saturday September 6th, Frank and Earnest will be celebrating the release of a new full-length album called Modern Country with a show at Mac’s Bar in Lansing. The band has always had a self-deprecating attitude (the phrase “stupid guys” has been attached to many of their self-written bios) so don’t let the secret out that a lot of care and some struggles went into the making of this album. It’s been four years since the release of the last long-form product from these guys (2010’s Old Francis) and three since their last hard copy release (Funemployment, the 2011 7″ split with The Plurals) and the ensuing years have seen members start and end concurrent projects, personal relationships begin and end, marriages, children, and most dramatically, the departure (due to career changes and subsequent relocation) of band founder and guitarist-singer Otis, which came shortly after the tracking for this album had finished. In the midst of all of this living, Frank and Earnest managed to put together a collection of songs that tackle many of these topics with lyrical themes questioning the damage that alcohol inflicts on the-not-as-young-as-they-used-to-be member’s lives, yearning for stronger personal bonds, and the general desire to want to do more with their time on earth. Don’t worry though, these frustrations aren’t merely wallowed in and Frank and Earnest never forget the importance of not taking themselves too seriously and the songs on Modern Country are hook-laden, catchy, punk-influenced pop/rock creations that are daring enough to bear the confessional lyrical influence more typical of singer-songwriter fare or, dare we say it, classic country music. F+E 2014, photo by Corey Marie. The album was recorded at Epiphany Sound in Dimondale, Michigan from the spring to the fall of 2013 with Isaac Vander Schuur behind the board for tracking and mixing. Rick Johnson mastered the album at Cold War Studios in Grand Rapids and the album features art from the ever-present artist/graphic designer Craig Horky. The show at Mac’s on September 6th is the first of many local and regional shows planned for the fall, which will be the most prominent burst of activity from these guys in a few years. 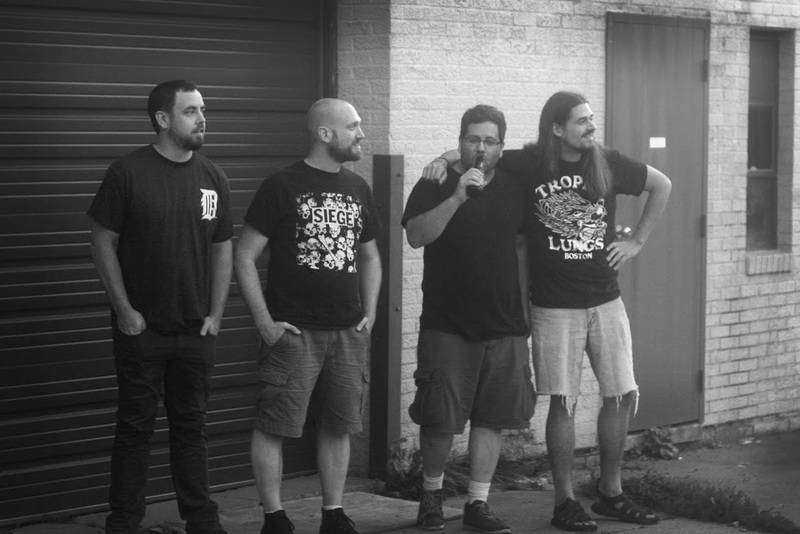 Joining longtime members Ben Hassenger, Ryan Horky, and Paul Wittman at live shows these days in the guitar position is Tommy Plural, who has signed a legally-binding contract to not make this band any less stupid. Check out “Paul 5” from Modern Country below, and keep up with the band’s pre-release activity on Facebook.